When your customers see your printed products, they expect a high standard. This standard reflects the quality of your business, which ultimately affects the decision of the customer to either buy or move onto something better. Using a UV coating machines really helps your products to shine. If you want your products to stand out against the competition, you need to be aware of the best methods on the market today to make your printed work look professional, sleek, and elegant. 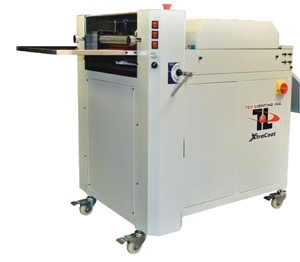 UV coating machines, or ultra violet coating systems, allow you to apply a very glossy and shiny coating to the surface of your printed paper, which is then cured on a special ultraviolet machine. Once the special UV coating is exposed to UV light, it quickly hardens, allowing you to coat products quickly and efficiently. UV coating machines can also be used to add a glossy coat to wood, glass, plastic, and aluminium beverage cans. 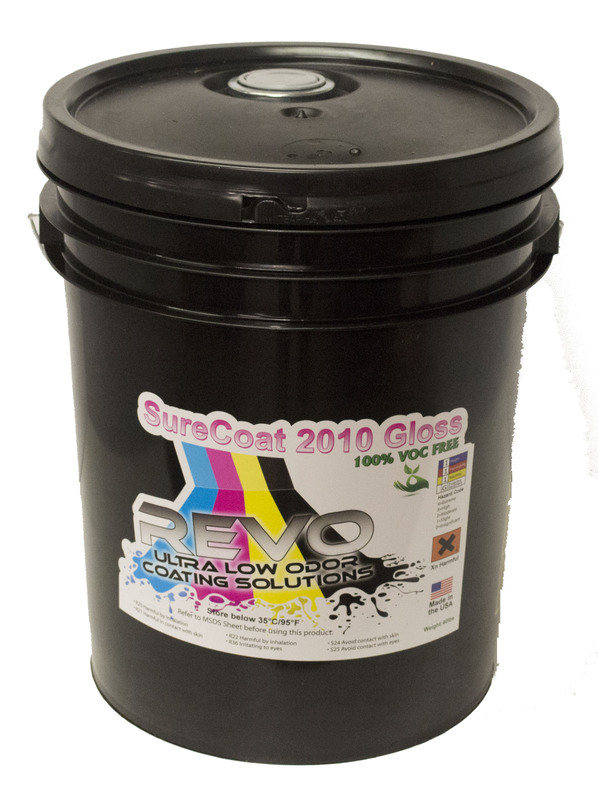 UV coating is one of the best methods available for finishing your products and making them look professional. This method has numerous advantages over other coating methods commonly used in the world of business today. With UV coating products you get a very high shine finish, which is great for image-based projects such as catalogs. When used on dark and rich colors, UV coatings can create a wet look that is both impressive and eye-catching. Another advantage of UV coated products is their resistance to abrasion. If your products are going to be sent through the mail or handed out to customers, they need to able to resist wear and tear. A great benefit to UV coating is that it is smudge resistant, durable, and does not easily pick up marks or scratches. With UV coating machines you get a crystal clear finish which makes images stand out and adds a professional touch that will impress your customers and competitors. As well as being visually impressive, UV coated products are environmentally friendly as they are free from solvents and do not give off VOCs (volatile organic compounds) when they are cured. 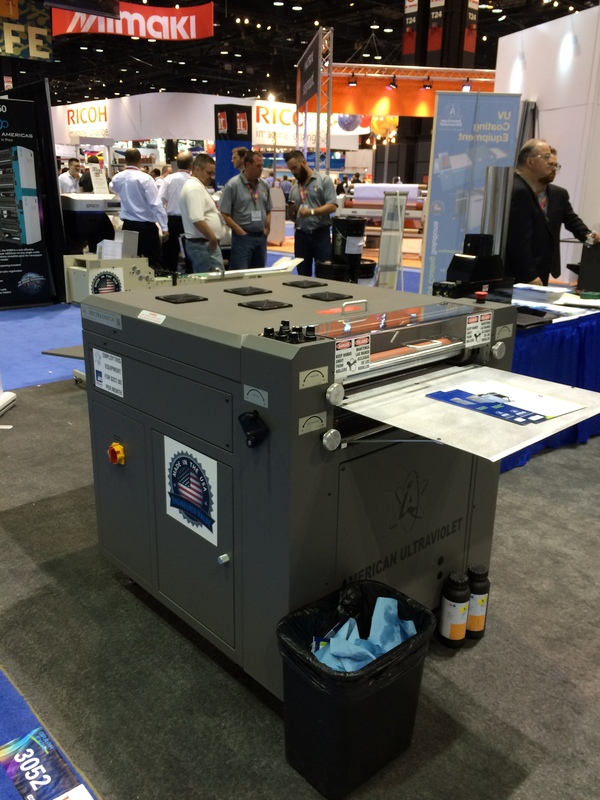 Because of all the benefits of UV coating systems, your business can flourish without worrying about time-consuming coating methods that minimize the time you can spend on promoting your products. The quick drying time allows you speed up production, which leads to earlier shipping and delivery to your customers.